The release of vCloud Director (vCD) v1.5 along with vShield Edge (VSE) v5.0 provided a significant number of in-cloud networking enhancements that put a smirk on the faces of socially awkward cloud geeks everywhere. Okay, I’ll admit it – the networking capabilities VMware has baked into vCloud Director have been one of the most intriguing components of the solution. The combination of vCD 1.5 and VSE 5.0, riding on top of vSphere’s native networking capabilities, provide the framework for enhanced (and industry-leading) networking options for your cloud. 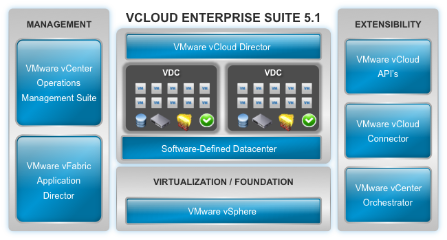 Check out the vCD 1.5 Technical Whitepaper for more info on these and other enhancements. Why Cloud for Existing Apps?